The Porcelain Flower, also known as Hoya Lacunosa, is a highly fragrant wax flower originated from Asia. Originally used an herbal medicine to heal wounds and reduce inflammation, it is now used in skincare products to sooth irritated skin, enhance microcirculation to achieve brightening effect. The Brightening Porcelain Flower collection contains SUR PUR Swiss flower extracts and Porcelain Flower Extract known to achieve maximum natural brightening qualities. Brings luminosity and radiance to your skin and at the same calms, soothes, the face for a refreshing, nourished sensation. Each product in the Brightening Porcelain Flower collection features different plant extracts in each products in order to achieve a synergy effect among the products for maximized brightening effect. Swiss plants extracts and porcelain flowers induce regular and progressive brightening to restore luminosity and transparency to the skin. Anti-inflammatory qualities also shields the skin from exposure to external impurities. Leaves skin soft, supple, with natural elasticity and shine. In the morning apply on clean, dried skin, avoiding the eye area. Swiss plants extracts and porcelain flower induces regular and progressive brightening to restore luminosity and transparency to the skin. Softens fine lines and prevents its formation at night, this night cream leaves skin soft, supple, with natural elasticity and shine. In the evening, apply on clean, dried skin, avoiding the eye area. Swiss plants extracts and porcelain flower are highly effective in restoring moisture to the skin. At the same time bringing brightness and softness to the complexion, leaving skin calm and radiant. Apply on clean, dried skin, avoiding the eye areas. Leave on for 10-15 minutes then rinse off with water. Use twice a week or as often as needed. Swiss plants extracts and porcelain flower bring effective and progressive lightening for all skin types. Formulated to brighten the skin to restore luminosity and transparency, resulting in a firmer, plumper shape. Leave skin soft, supple, with natural elasticity and shine. In the morning and evening, apply on clean and dried skin, avoiding the eye area. 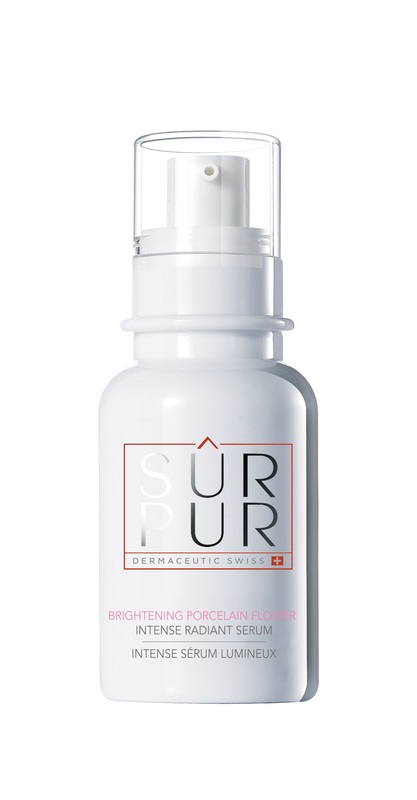 Lightly tap with fingertips and allow serum to be fully absorbed before continuing with other Sur Pur products.